Delve into a magical world of cake recipes and prepare the Almond cake with jamun sauce. The almond cake is topped with a rich and eyecatching jamun sauce and then relished garnished with sliced jamuns. 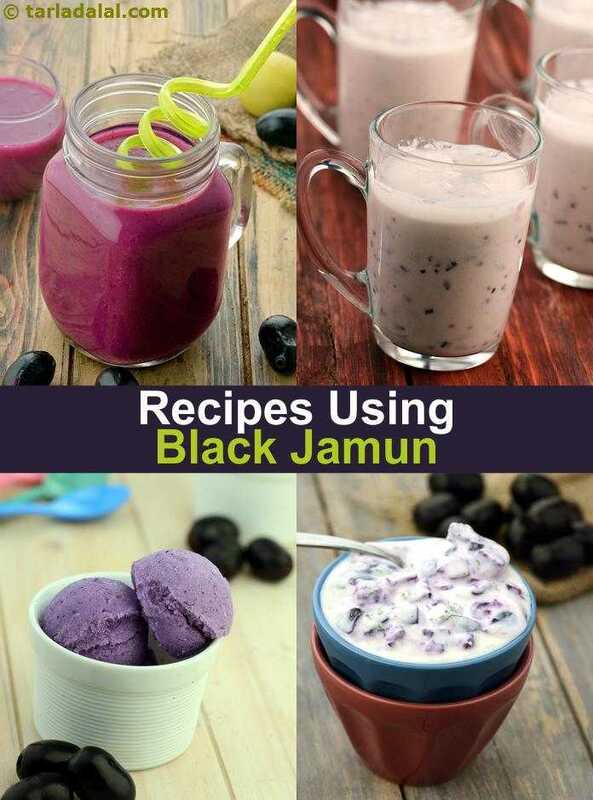 Let the jamun juice settle well before pouring into glasses to obtain a clear juice.